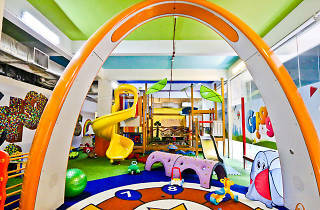 Giggles (from $18) is separated into two play areas, the first of which is a jungle gym where children can swing, slide and balance. 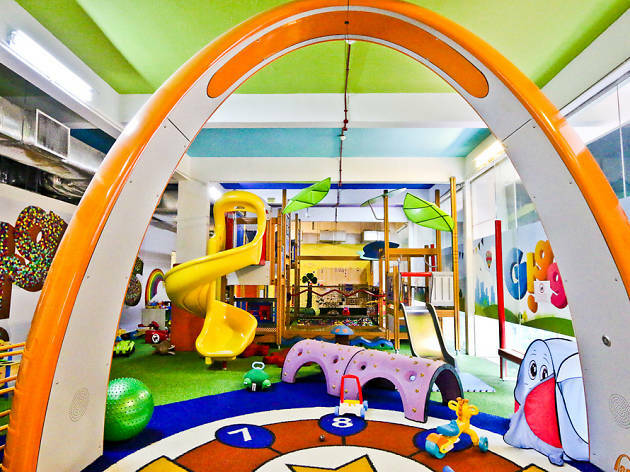 However, what separates Giggles from other indoor playgrounds is the PlayHouse: a sensory room, soft gym playroom and water play area combined. While adult supervision is necessary at all times, there are drop-off, 2-hour sessions at PlayHouse for toddlers between 13 to 36 months, where a trained play guide runs Reggio Emilia-inspired programmes according to the tots’ (maximum of four) interests. Giggles also runs a programme tailored to children with special needs ($90/hour) to encourage communication and develop social skills, with both the play guide and during playtime with another child.